Dinkums is a large format print specialist providing a range of large format products and services for over 25 years. We focus on delivering quality & fast turn-around, offering a wide range of the best branded media and the most technologically advanced and newest printers. Our product ranges covers paper prints in a variety of weights and finishes, as well as speciality large format products – canvas, light box film, re-positional wall or window prints and large vinyl window decals. We complement our printing with a range of other services including scanning, laminating, framing & mounting and even installation of large window decal or wall print jobs as required. We print large or wide format poster prints up to 60” or 1.5m wide and up to several metres long if required. Popular ‘standard’ sizes include A2, A1, B1 and A0, but virtually any dimension is possible. Popular print products include high quality photographic prints, landscape and architectural drawings, point-of-sale posters, lightbox prints, artistic prints, plan prints and display material such as pull up banners. We also have a range of re-positional adhesive material, ideal for large wall or window prints. Our paper range has just about every job covered – heavy weight 260gsm matt, satin or gloss photographic paper, ideal for the highest quality and print resolution, the mid-weight range of 140gsm and 160gsm coated matt and a 180gsm satin or gloss or if print quality is not the key requirement, we have our 80gsm bond paper – a fast and functional option. Our speciality range helps us provide a broader print product option – re-positional adhesive ‘Phototex’ material, high quality, vinyl adhesive for wall & window decals, artisits canvas, translucent backlit film for lightboxes and large format trace paper. Check out our signage page for information on coreflute printing and other signage options. 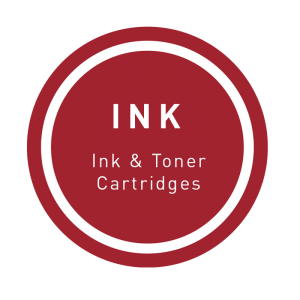 We make sure we have the latest and most technologically advance printing equipment for the best quality and highest efficiency. It begins with the HP 6200Z Designjet – a 60″/1.5m inkjet printer, reknowned for producing the highest quality large format prints with unmatched resolution and photographic quality. The Xerox C842 42″ inkjet printer can print an amazing 7 x A0s per minute making it ideal for high volume plan drawing prints or ‘short-life’ point of sale posters. And the Epson SureColor T7200 – designed for producing large-format prints, economically and quickly. It produces high resolution prints with dense and consistent colour, ideal for maps, plans, drawings, schematics, geological survey diagrams, sales presentations, posters and displays. The T7200 also provides 600dpi scanning up to 914mm wide. We have a variety of mounting, framing and laminating options for your large format prints. These include foam core mounting, hot and cold laminating and stretcher bar framing for your canvas prints. Installation services are available for large decal and display jobs. Large format 600dpi scanning is also available. And don’t forget to ask about our delivery service – it’s free for orders over $100 to locations within 5kms of Dinkums.